Valued customers, we hope that you and your families weathered last night’s storm safely. It was a real wallop to our community – leveling trees, rendering roadways and access points unpassable and damaging both commercial power and cable infrastructures. We are committed to restoring your service as quickly as possible and in order to do that a few things need to happen. First, we need to have access to our plant in order to repair it. We are in close coordination with the Thurston County Office of Emergency Management (EOC). From there and at local city EOC’s the laborious work of clearing the roadways of downed trees and dangerous objects is coordinated. 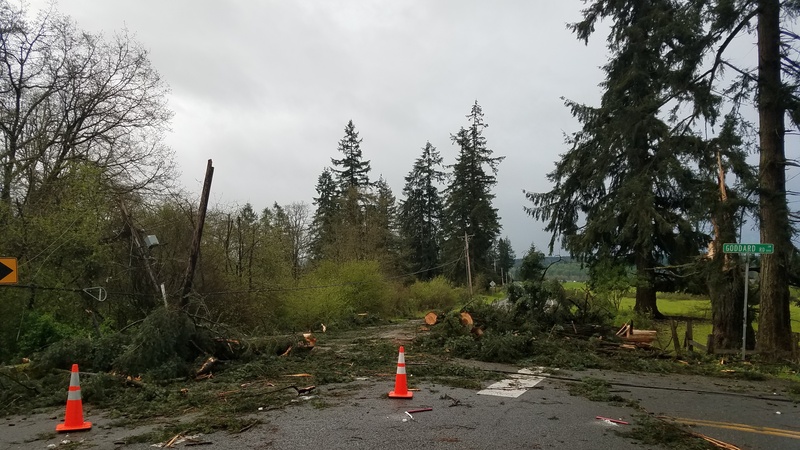 Second, prior to Comcast or any cable or telecom provider entering an area with a power outage, the local commercial power provider – in this case Puget Sound Energy – must enter first to render the area safe. Comcast is also working in close coordination with PSE. Third, once the area has been “cleared” by power we are able to access our plant to repair. In addition, once commercial power is restored we are better able to utilize our diagnostics to determine where we might have trouble spots. These spots might not have been identifiable from a simple visual review. Based on the level of destruction this storm wrought and the number of streets and access points blocked, and our need to ensure areas have first been “cleared” by our partners at PSE, service in some areas may be disrupted for a few days. We are working hard to narrow that window and will share with you updates on timing as soon as we can. Also, it’s not uncommon in storm related outages for a customer to have power but not have Comcast services. This often occurs when the power lines feeding the home or business are not the same ones serving our plant. Things might look fine on your block, but four blocks away there could be damage to our plant or PSE’s this is impacting your service. We appreciate service disruptions are both inconvenient and frustrating. Know that our teams are working around the clock to address the issue and we will do our best to keep you informed on where things stand. Thank you for your patience and, as always, thank you for being a Comcast customer.